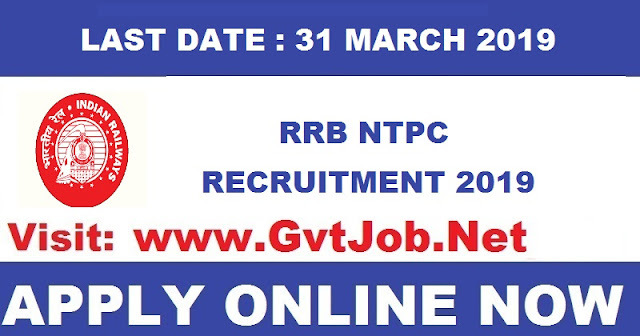 RRB NTPC has sought applications on many posts. Total candidates for the application of releases out on 35,277 posts See by official notification on the official website and key dates, eligibility criteria, application fee, choose to complete the online application process before being aware of all the important information including process etc. Deadline. See the slides next to more information. Candidates must possess minimum educational qualification from the recognized institution/board with 50% marks in Intermediate. Candidates must have minimum academic qualifications from a recognized institution. Age limit for candidates with NTPC intermediate is fixed at 18 years to 30 years. To download candidate's official notification, visit the official website and follow the on-screen instructions to complete the recruitment process. Candidates are also advised that they should be regularly on the official RRB website for the latest updates on the notification. See notification for SC / ST / Ex-servicemen / PWD / Women / Transgender / minority / financially backward class-Rs 250 / - for more information. Click here for area-wise links.